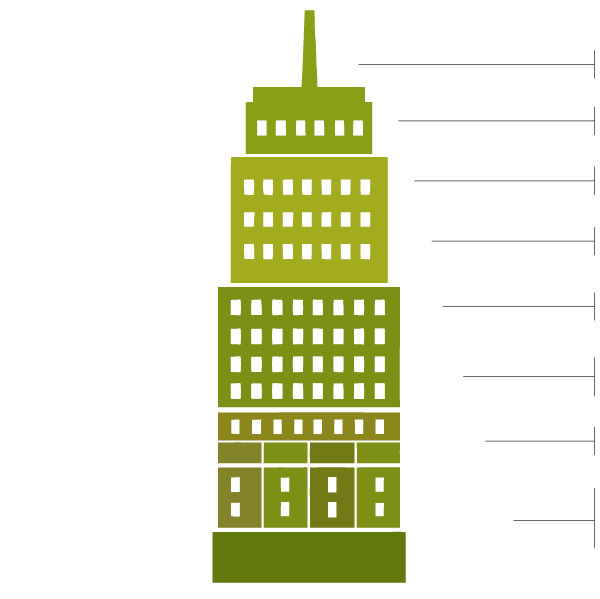 Neural infrastructure: the Wi4B approach to smart building.  Wi4B technology permits to realize the neural infrastructure of an existing or new building in a very simple and easy installation process, with plug&play devices, capable to dialog with different commond standards (Enocean, BLE, KNX,...).  The auto mesh network permits to send all the data generated from the sensors to the backbone software, and could be easly integrated in existing platform using the common software connectors (SQL db, Webservices, sockets, JSON formats,...). The Wi4B Smart Building permits to handle the challenges with a modular approach, starting with the energy saving generated by the remote controls for LED lightings in order to obtain a new pervasive network that is the neural infrastructure ready to acquire and collect the data necessary to activate intelligent solutions. The backbone functions permit to implement a complete building automation system and can be paired with a variety of wireless energy harvesting devices, including switches, window sensors, occupancy sensors, key cards, thermostats and meters to create a fully functioning, in building and in room energy management solution. Cloud platform enables resources to be shared by different loads, and thus improves utilization. The sharing can be between enterprises, with public or community cloud, or within an enterprise, with private cloud. The auto mesh network permits to share all the data generated from the sensors to the backbone plaftorm, and to the cloud. Could be easly integrated in existing third-party platform using the common software connectors (SQL, Webservices, sockets, JSON,...).